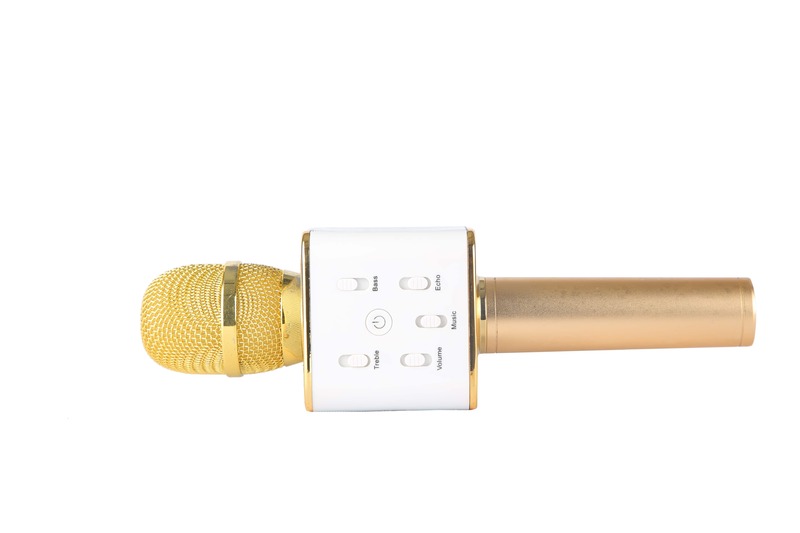 Multipurpose Bluetooth Wireless mic with Bluetooth speaker and microphone. can work independently without extra connection. Multipurpose: bluetooth speaker, karaoke singing, car stereo, instrument recording, interviews, podcasting. 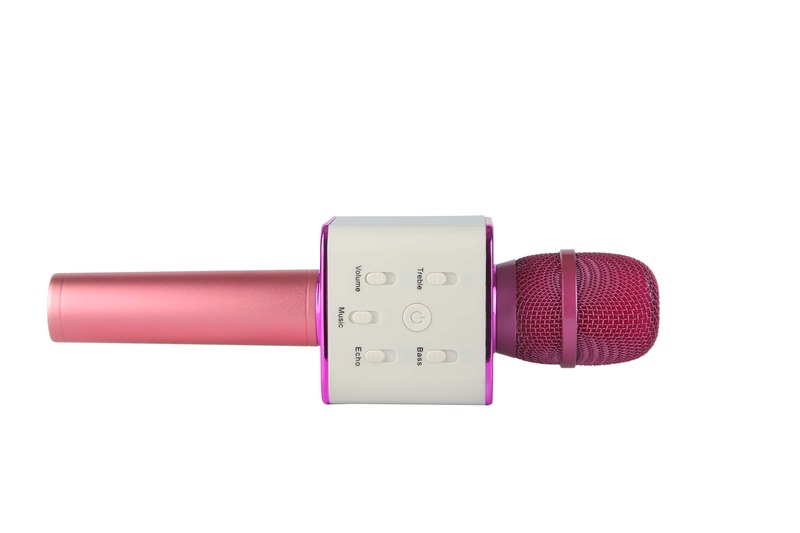 Portable and durable, easy to carry and use.The simplicity of the microphone karaoke machine usage. 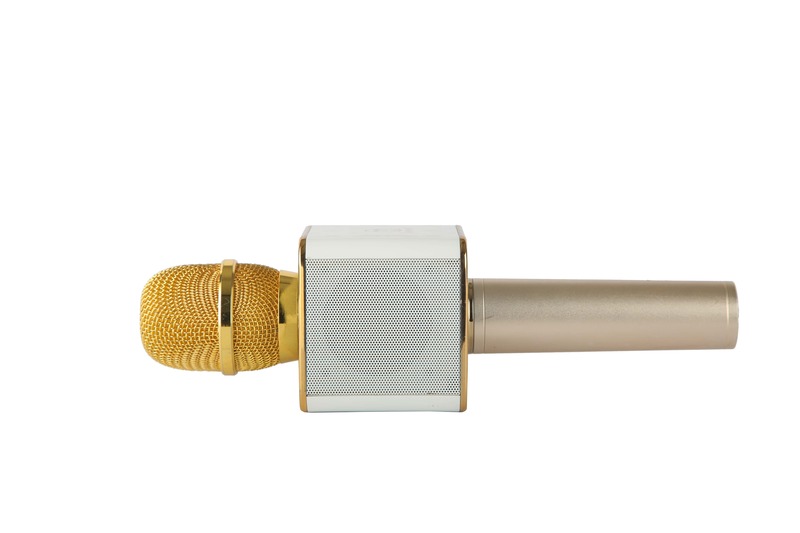 Allows you to sing and record you voice anywhere.Professional tuning button, high pitch / bass/volume/Accompany/reverberation all can be adjusted via this microphone..Device is portable, family fun during camping trips or any social gathering. 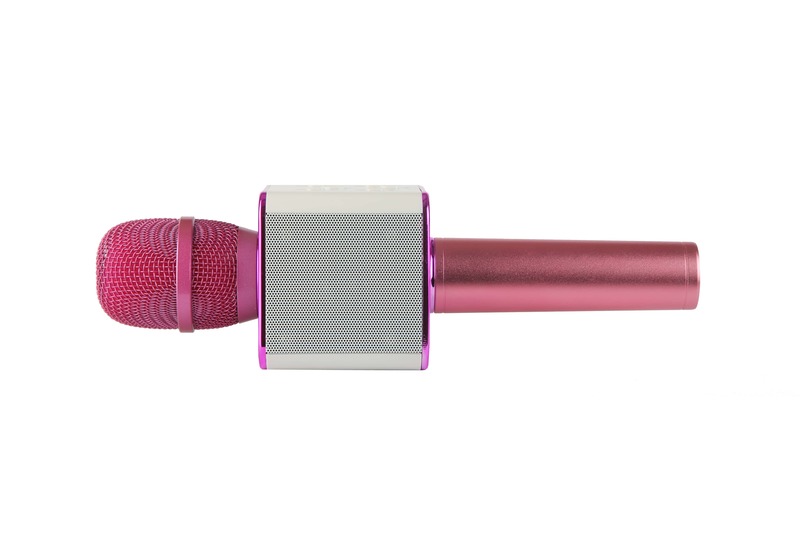 Hard Case packaging protects the microphone karaoke machine when not in use. Simple to connect to your iPhone or any Bluetooth enabled device that you may be using. . Perfect for using during parties and also makes a great gift for anyone that enjoys singing. The transmission of the sound of your voice from the microphone to the speakers is crystal clear. High compatibility, fit for computer, Smartphone, iPhone, iPad, MID, audio player with 3.5 aux in jack. Feature - capacitive bluetooth 2.1 output power: 3w*2 charging power: dc 5v frequency range: 100hz to 10khz maximum spl: about 115db 1khz thd: up to 1% reverb mode: echo sound reverberation power supply: built-in lithium battery battery capacity: 2600 mah battery working time: 3 to 5 phone support: supports connecting to android, apple systems. With the app, you can experience the effects ktv karaoke rooms and functions package includes: 1 x microphone 1 x audio cable 1 x usb cable 1 x storage box 1 x user manual. 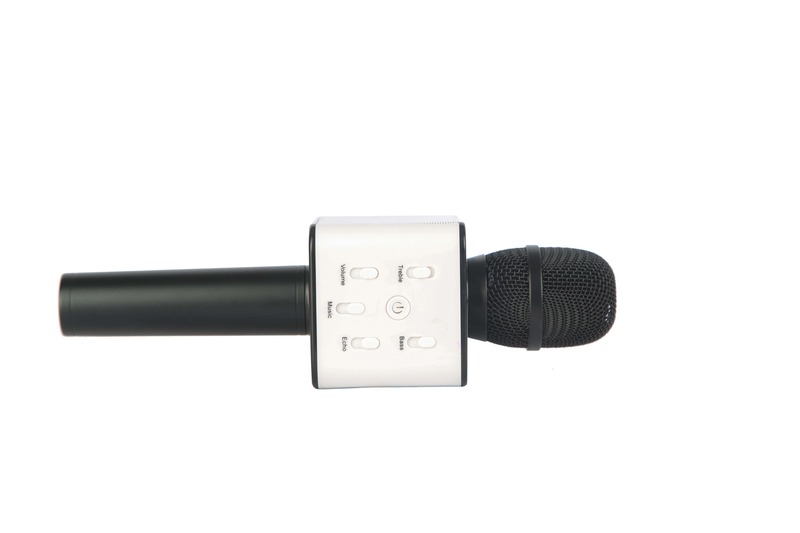 You can buy Bluetooth Wireless Mic/ Microphone in trivandrum from Ramachandran mall.